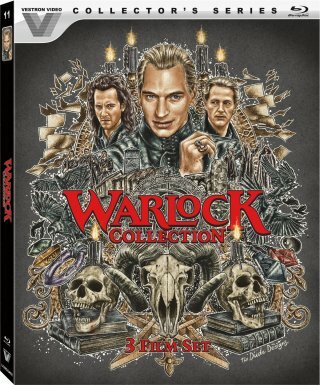 On 07/25/2017, Lionsgate will release the Warlock trilogy as 2-Disc Set on Blu-ray in the US. While the first contains the original, the sequels Warlock - The Armageddon and Warlock III - The End of Innocence will be available on the second Blu-ray. In addition to that, there will be new bonus features.